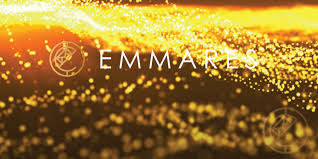 EMMARES is a blockchain-based email marketing system that provides a platform for email marketers to create high-quality content and get the relevant audience for their content. On the other hand, the recipients are provided with rewards for receiving and evaluating the emails. Email marketers will fund the rewarding pool which later is used to reward the recipients of that email marketer. The platform would enable both, email marketers for getting their desired customers/audience and their recipients for getting rewarded to get the emails they are interested in, to take advantage of the new technology of email marketing. The email marketing industry is very huge in terms of both, recipients and businesses, but none of them always get what they wish for. Businesses of every kind use email marketing to expand their businesses and attract more customers towards their business for which they spend a lot of money, but the results are not as promising as they should be. On the other hand, the recipients don’t always get the emails they want but they get tired of receiving useless and low-quality spam emails all the time. EMMARES aims to solve both of these problems. Businesses can use the platform to demonstrate their quality content to the users that are relevant to their business which increases the chances of getting more customers. The recipients would get to see only the advertisements through emails that they are interested in, and as a source of motivation, they get rewarded for that from the pool of rewards which is topped up by the businesses promoting their emails on the platform.